INVESTMENT capital from around the globe is ready to buy into the Australian beef industry, but businesses need to choose their investment partners with care and ensure a cultural fit which delivers for both parties. That was the message from the Are You Investment Ready? seminar held at Beef 2018 last week, which brought together representatives from the banking, trade, investment, stud-stock and commercial-cattle sectors. 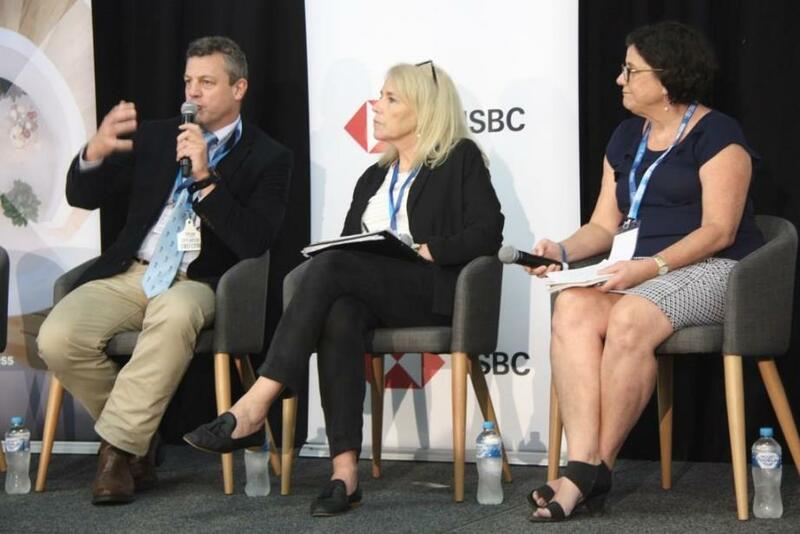 NAPCo chief executive Phil Cummins, TIQ CEO Virginia Greville and Austrade’s Anne Maree Weston talk investment at Beef 2018. “US, Europe and Latin American multinationals are looking to grow investments. They see Australian beef as giving ease of access into Asian markets,” Austrade senior investment specialist in agribusiness and food, Anne Maree Weston, said. Trade and Investment Queensland CEO, Virginia Greville, said the Queensland Government global business agency was seeing investment interest led by Latin America and China. HSBS Australia head of agribusiness, Mitch Adermann, said offshore as well as domestic superannuation funds were interested in investing in Australian agriculture. “Aussie super funds I’m seeing as more active than they were two years ago,” Mr Adermann said. “The good news on alternative capital sources is there’s plenty of it. Australia is a destination for investment, and its number five for transactions internationally,” Mr Adermann said. 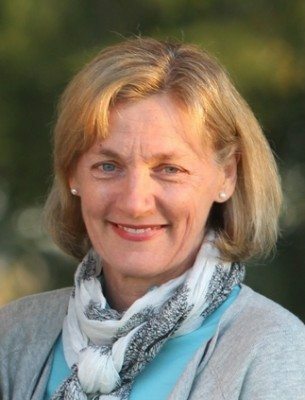 Palgrove general manager, Prue Bondfield said the prominent national seedstock producer was looking for “a quick expansion” that was never going to be financed through traditional methods. “The first place you go when you want money is the bank, but if the bank doesn’t suit your plans and objectives, a good advisor is the place to be,” she said. Palgrove was looking for an investment partner which would allow it to expand through a capital injection, and they found one across the ditch. “NZ Super Fund came along, and they had expanded in dairy and forestry,” Ms Bondfield said. Click here to view an earlier story on Palgrove’s investment alignment with the NZ Super Fund. She said the identification of key performance indicators meant Palgrove was documenting more aspects of the business than it ever had before, and the business needed to prove its past and present performance, as well as project its future before NZSF came on board. “Capital is patient, but it still has to show returns,” Ms Bondfield said. Ms Weston said the Information Memorandum (IM) pertaining to a business seeking an investment partner was important to get right. Mr Adermann said some investors interested in Australian agriculture wanted that to include a stake in food production as well. “Foreign investors might want security of production — to have a beef farm in Australia and then sell a product to a local market is one model. He said agricultural businesses were wrong to present to investors in the same way they would be if they were listing their properties for sale, as potential partners wanted to know much more than key statistics like the property’s size and carrying capacity. Ms Weston said the corporate world was comfortable with self-promotion, but those in agriculture were often reticent about talking themselves up. Ms Greville said different pitches were required for different potential investment partners, and an aspect of the business, like a clean and green image, could be enormously important to one prospective partner and of no interest to another. She said Australia enjoyed a reputation for being straightforward, and calling a spade a spade. She said TIQ was happy to engage with growers, producers and processors, and likewise, Ms Weston said Austrade was willing to help Australian businesses with their pitches. “There’s no harm in turning up at Austrade or TIQ to practice,” Ms Weston said. 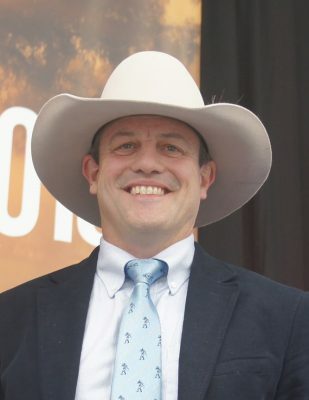 North Australian Pastoral Co chief executive, Phil Cummins, said Australia’s foreign investment review process involved advisor and legal fees plus stamp duty on transactions, and despite being “onerous and expensive”, was not prohibitive to offshore investors. “The fact that we have a Foreign Investment Review Board regime doesn’t scare people off. Being clear about rules of engagement is more important,” Mr Cummins said. As a member of the global banking community, Mr Adermann was more circumspect. “Compared with other countries, we’re really investment ready. It’s very friendly and relatively easy to do business and invest in Australia,” he said. All panellists spoke about the importance of finding the right partner. “A big part of it is making sure you understand your business, and then your values — what it is you’re trying to achieve,” Mr Cummins said. Ms Bondfield said agricultural businesses needed to make sure they had enough time to find the right investment partner. “The word ‘desperate’ should never come into it when you talk about capital,” Ms Bondfield said. Smithfield Cattle Company CEO, Jason Strong, said an external investment took much longer to arrange than traditional financing through, for example, a bank loan, and that included determining what the agricultural asset-holder wanted from an investment partner. “Quite often it’s a difference between needs and wants, and what we really want is the freedom to operate our properties in the way we want,” Mr Strong said. “If we don’t keep that in mind, we might get what we need, but not what we want,” he said. The partners should work out what happens with the investment if circumstances change. “Terms of divorce are important to talk about before you get married,” Mr Strong said.